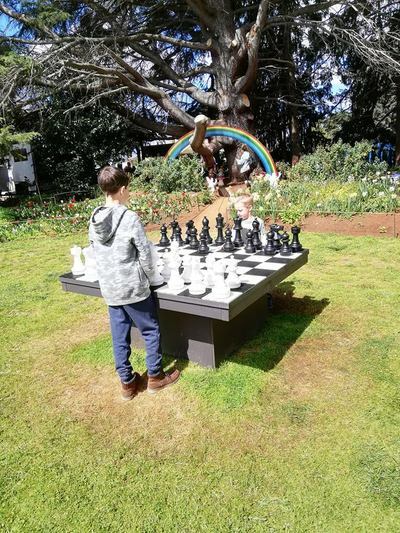 Why you should visit the Tesselaar Tulip Festival with your kids. The Tesselaar Tulip Festival is an annual event when the Tesselaar Tulip Farm opens to the general public for two weeks in springtime. This wonderful outdoor event has been running for 65 years (as of 2018), which celebrates the breathtaking blooms of over one million colourful tulips! 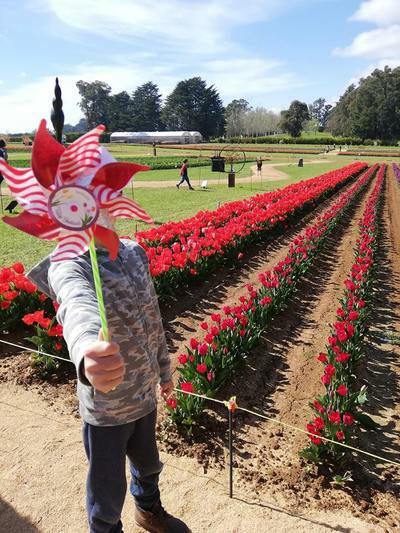 Here's why we think you need to visit the Tesselaar Tulip Festival with your children. The Tesselaar Tulip fields in full bloom are simply breathtaking. With rows upon rows of colourful tulips in bloom throughout the 55-acre farm, you will find plenty of beautiful spots to take your Insta-worthy family photos! Whether or not you choose to share your photographs is up to you. Name a kid who doesn't love a tractor ride? For the price of a coffee (tractor rides are an additional cost after your entry fee), you can sit back and enjoy a tractor ride around Tesselaar's floral fields. A big hit for the little ones. The Tesselaar Tulip Festival includes plenty of live entertainment throughout the two weeks. 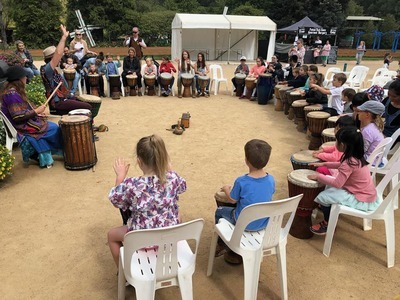 Depending on the day you choose to visit, you can treat the kids to: facepainting, drumming workshops, dance performances, character shows and animal meet-and-greets. Your kids will be thoroughly entertained throughout your visit. No need to pack a lunch (unless you want to) when you have an ample selection of food trucks and stalls to put some yum in your tum. From Dutch poffertjes (mini pancakes) to a macaroni stall, ice creams to coffee, the Tesselaar Tulip Farm caters for every tastebud during the festival. Little ones will relish in the mini fairy garden complete with gnomes and fairy doors in the trees, located underneath a rainbow. 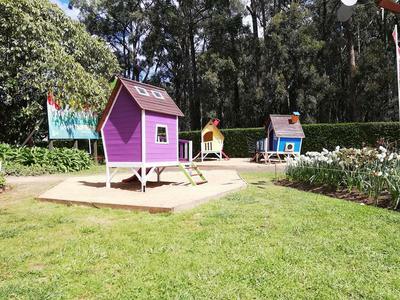 There are pastel-coloured cubbys to play in, an outdoor chess set and lots of room to run around, too. 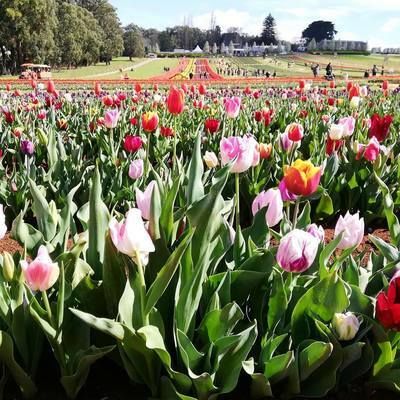 The Tesselaar Tulip Festival is a must-visit in springtime, open from 10am - 5pm every day over the spring school holidays (from around mid September to mid October every year). 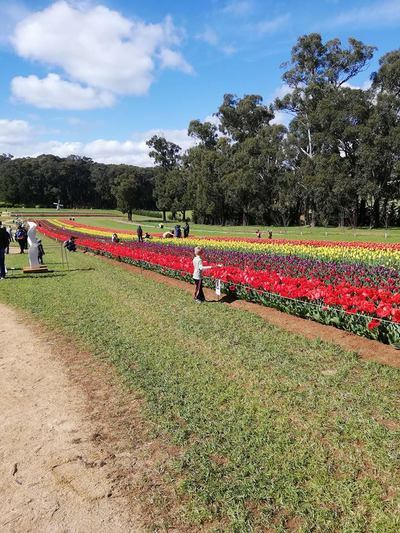 For the rest of the year the Tesselaar Tulip Farm operates as a nursery and mail order plant business, however, in Autumn each year, Tesselaar opens once more to celebrate the KaBloom Festival of Flowers. While you're in the area, why not stop by Grant's Picnic Ground to feed the birds. When: Around mid September - mid October each year. See what's on and when during the annual Tesselaar Tulip Festival and the KaBloom Festival of Flowers.